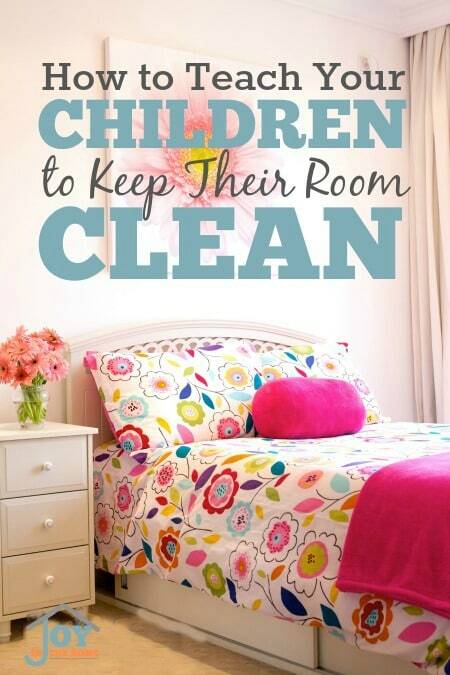 If you have children, you know how hard it is to keep their rooms clean, especially if they are younger children. When my older children were smaller, I couldn't believe how quickly they would mess up their rooms. I implemented some key things that help to teach my children to keep their room clean and recently, I had to remind myself of these things when our younger two children were falling into bad habits that were causing them to have a messy room. All parents would love their children to learn how to keep their room clean, but it may be hard to know where to start, especially if you think your children are too young. Young children can easily learn how to pick up their toys on their own, with early training. In my own parenting, it is often when you have taught a habit that you relax and allow some slack and all the work has been unraveled. I know from experience, with all four of our children. 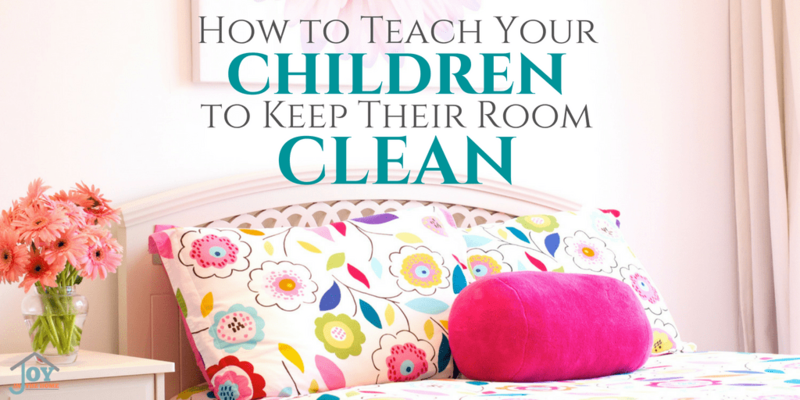 However, I know how easy it is to teach your children to keep their room clean with just some focused attention to five key things that will make it worth the effort to implement with your own children. Each of the tips that I'm going to share with you are the exact things that we have used and recently implemented with our younger boys to get their own room disasters under control, so they can successful learn the important things necessary to keeping their room cleaned on their own. It is imperative that you start the teaching by giving everything in their room a place that it belongs. I love using cubeicals and fabric drawers to organize their toys in their room. I keep like things together, in one drawer. I color coordinate for children, so they know whose drawer is whose. Once everything in its place, a child will be able to understand where something belongs and can be one step closer to keeping their room clean. Half the battle for a child is not understanding where things should go and how to keep them organized without having it demonstrated for them. This type of organizing in their room helps them to play creatively for longer period of time and helps implement the next tip easier. By having their toys organized, they can have all their Legos out at one time and enjoy hours of play, but they know that they can't go outside without taking care of the Legos first. I do allow them to take more than one drawer out at a time, like their army men with Lincoln Logs because they obviously can be played together. It helps them enjoy the play together but will also be easy to separate in their correct drawers. We all know this quote, and it works with teaching your children to keep their room clean. We have a set routine for the morning, which includes: making their bed as early as two with my help and by four or five, they can be doing this all on their own, take care of dirty clothes when they get dress and to open their curtains and blinds. This starts the day with a clean room and will help them continue this focus through the day. It is easy for us to call our children to dinner and they come to the table, while their toys lay on their floor. If you evening is anything like ours, they may not go back into their room until bedtime and then we aren't wanting to take that time to clean up because we are ready for them to be in bed. This is a gold nugget tip that will revolutionize your child keeping their room clean. I give them a 30 minutes time prior to dinner to start to clean up their room and then they can help set the table for dinner. If we miss this we really regret it and then it makes the last tip important. Once a week, go into your children's room with them and do a five minute tidy up. There easily can be several things that haven't made it to its assigned place throughout the week, or made its way under the bed or in the closet. Have your child dust their room and vacuum, while you do an inspection and help put the odds and ends in their right place. Always make mention that you found things that didn't belong where you found them. Point out things that when you put them in their right place to re-enforce their rightful place and to keep your children accountable. The following week during tidy up time, if you find the same things out of their rightful place, hand them to the children and have them put them where they belong. It won't take long before this tip won't be needed if you are consistent with implementing them. If you are still struggling with these and you have been consistent, I would highly suggest getting rid of some of their things. You can either put them away for a while or donate them. Do you feel like you're overwhelmed by parenting? 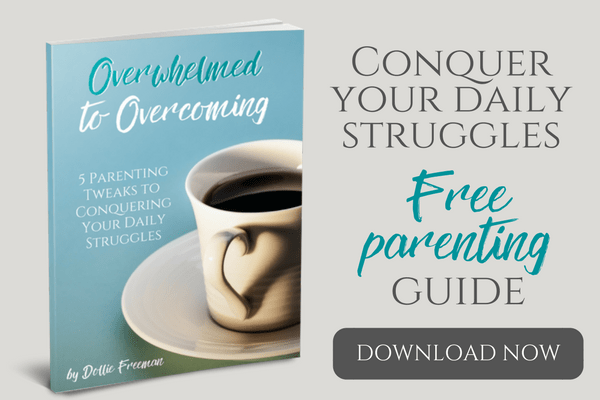 If so, you can download my free Overwhelmed to Overcoming 5 Parenting Tweaks to Overcome Your Parenting Struggles. Not only will this identify five areas that cause parents to become overwhelmed, it provides solutions to overcoming these areas as well. 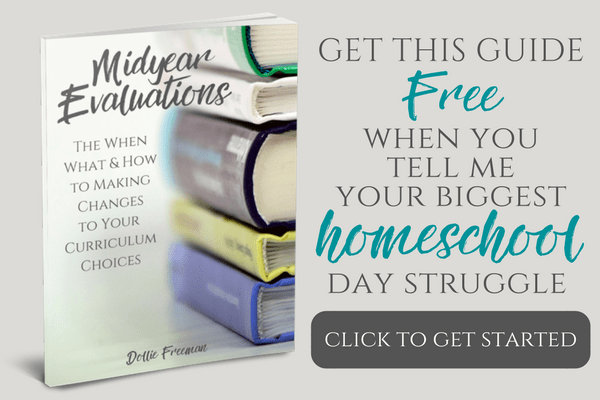 Just click here to get Overwhelmed to Overcoming 5 Parenting Tweaks to Overcome Your Parenting Struggles for FREE in your inbox.